Whilst the sun and warm weather is a welcome sight for most people, it can pose a serious risk for employees who work outdoors. Employees who works outdoors are at risk from a variety of sun-related illnesses and injuries. Of course, workers in some industries spend more time outside and exposed to the sun than others. Those particularly at risk include, construction workers, agriculture workers and drivers. However, employees who only work outside on occasion are also at risk. 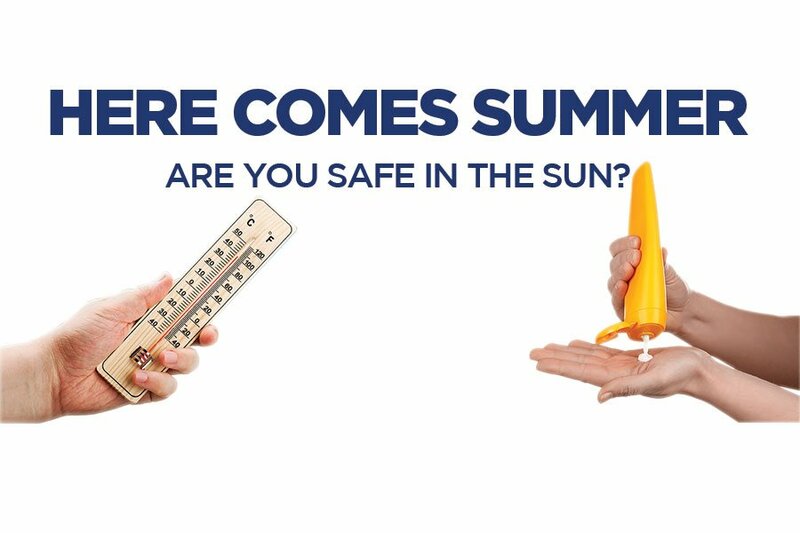 It can take only a few hours in the sun, or bright but cloudy days, to end up with a nasty sunburn or heat-related illness. When thinking about the effects of sun exposure, bright red sunburns are probably what come to mind first. But the truth of the matter is that the sun can cause a lot more damage than many people realise. Sunburn is perhaps the most common effect related to sun exposure. This reduces the skins ability to release excess heat and can contribute to heat-related illnesses like heat stroke. Even a mild reddening of the skin is a sign of damage and can result in blistering and peeling. Employees in the construction industry are more susceptible, as the majority of the materials used are reflective and can significantly increase a worker’s overall sun exposure. Control measures are simply to apply and reapply a sun cream with a Sun Protection Factor (SPF) of at least 15, ideally 30, on a regular basis. Avoid working in the sun during the hottest time of day (“Mad dogs and Englishmen go out in the midday sun”). Wear a hat to protect your head, face and neck, along with loose-fitting clothing where possible, which can also help keep workers cool and protect the skin from burns. The impact of the suns UV rays can have on our eyes is often underestimated. Unprotected exposure for long periods can result in allergic conjunctivitis, characterised by red, swollen eyes that may be itchy or feel otherwise irritated. Wearing sunglasses or peaked hats as much as possible will reduce the amount of direct sun that your eyes are exposed to. However, if safety glasses are worn make sure these provide UV protection. Anyone exposed to sunlight is at risk of developing skin cancer, however, as a result of repeated and prolonged exposure, outdoor workers are more likely to develop skin cancer. Some workers are more at risk than others, including those with fair or freckled skin, those with red or fair hair and light-coloured eyes, and those with a large number of moles. The application of sun cream regularly, ensuring that the SPF is appropriate for the level of protection required, provides protection against sunburn and long term ill health effects. It is important that individuals who work outside on a daily basis to do regular skin checks. Looking for new growths, sores that don’t seem to heal, or moles that have changed. Heavy physical exertion on a hot day, with or without sun, is all it takes to bring on some form of heat stress. Workers should drink cool water regularly to stay hydrated and rest in a cool, shady area away from the sun’s bright rays, and if possible adjust work activities to avoid hard physical activities when the sun is at its hottest. Training, such as toolbox talks, is one of the best ways to increase employee awareness about this often-overlooked issue. Exposure to the sun might not seem like a high priority issue, but it’s a critical part of ensuring the health and safety of outdoor workers.